Serica Energy CEO Mitch Flegg. “Focus” is the mantra at Serica Energy’s new office in Aberdeen and it’s the word that chief executive Mitch Flegg keeps coming back to. Just a year ago the firm employed only a handful of staff but since then the headcount has swelled to 140 thanks to a series of deals making Serica operator of the Bruce, Keith and Rhum (BKR) assets in the North Sea. The deals, with BP, Total, BHP and Marubeni, saw Serica take on more than 100 workers from BP as it acquired the northern North Sea fields. Serica has 60 full-time staff and contractors in place at the new Hill of Rubislaw facility. Mr Flegg said they are focused on giving the assets the attention they need in their mid-to-late life period. “For us, these are our number one assets,” he said. “Everyone in this office wakes up focused on these assets and that’s how we believe we can extend the life and extend the value of these assets. “It’s difficult for a company the size of BP to put all of their resources and all of their focus on to something like this because they’ve got a dozen different assets that they are looking after at any one time. “We recognise that these assets have to have complete focus on them to prolong the life and keep them going for as long as possible. “That’s to get the maximum benefit for ourselves but also for the country. 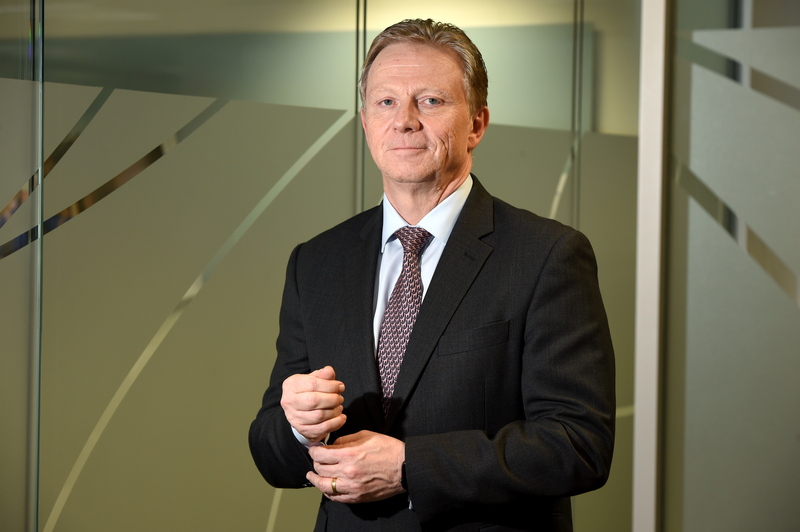 Opening of the new facility was a landmark moment for Serica, which Mr Flegg said elevates the firm into a “different league” in terms of its operational capability. Among other things, it is equipped with a real-time control room link with staff on the platforms. The move was part of a long journey for Serica, which announced its initial deal with BP back in November 2017. A full year later it was completed, with Serica picking up further stakes from Total, BHP and Marubeni, and the firm now owns 98% in Bruce, 100% of Keith and 50% of Rhum. The deals were also delayed by efforts to obtain a US sanctions waiver for the Rhum field, which is part owned by Iran. Taking a larger stake in the assets was a long-term goal for the firm so Serica jumped at the chance to complete them, even though it was a “more significant” piece of business than the company initially set out to do. Ultimately, Mr Flegg believes it will prove the right move for the long-term future of BKR. He said: “It was a longer process than we anticipated. It was a difficult process. There is a huge amount of work to do, particularly on the IT front nowadays to take over the operatorship. “It is more significant than we set out to do. We’re really pleased with the way that’s worked out because it allows us to remove some of the partner issues and the misalignments that there were in previous partner groups. “We think that’s good for the future of all the assets because we can now invest in them for the collective good, whereas before there were different partners in different assets, which made it difficult to make investment. Mr Flegg said there was “not even a flicker” in terms of interruptions while BKR were changing hands – a point he’s proud of. “We always set ourselves the goal that we didn’t want to make the transition too difficult,” he said. “Our aim was always to make sure there was no interruption to production and to make sure there were no HSE incidents. “We weren’t trying to change everything from day one, it was transition first and transformation later and we’re really pleased and proud that we achieved that. “There were no HSE incidents, there was no interruption to production – there wasn’t even a flicker. “We just carried on producing and everything worked pretty much first time.